Tired of Opening and Closing the Door for your Pet? Need an Easy Solution while you are away from home? 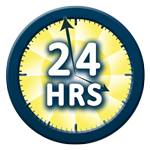 and Windows servicing Brisbane, Gold Coast and the Tweed area. Pet Doors offer freedom for both animals and their owners. When your pets can enjoy easy access to get outside and the protection to come in from bad weather, it’s a relief for the whole family. With easy access day and night, Pet Doors can even make Puppy Training a breeze. Not to mention offering the independent Cat the freedom they deserve. For peace of mind for your furry family member and no more scratching and whining at the door – Pet Doors from GlassNow are the perfect addition to your home. 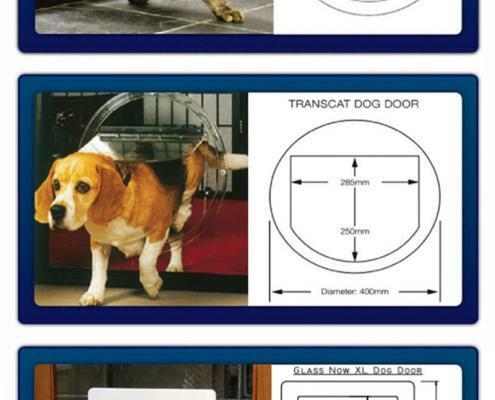 Extra Large Pet Doors are multi purpose and designed to sit flush with your glass panel door. The door flaps are virtually unbreakable, and feature security slides that lock the flap securely in place. 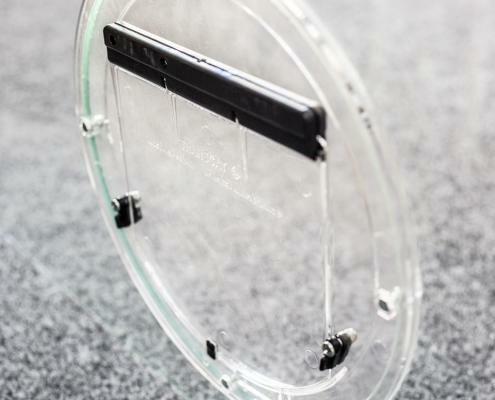 When not in a locked position the flap is held in place against strong winds when closed via 2 powerful magnets and comes with a full brush weather seal to prevent draughts. 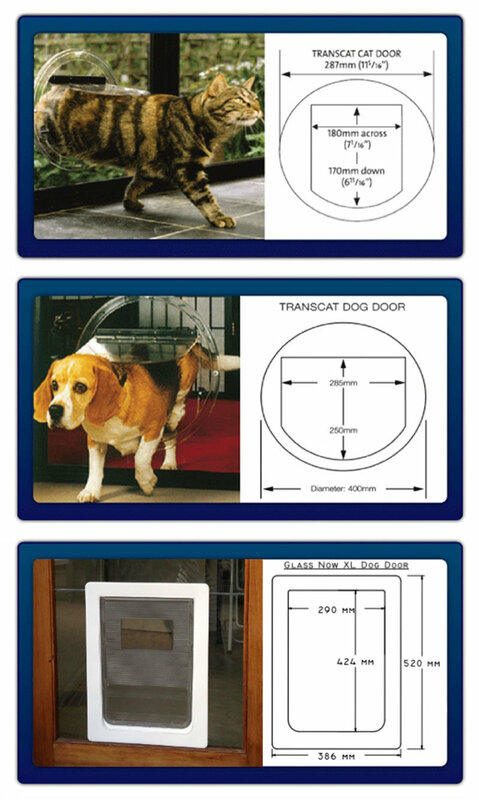 GlassNow Pet Doors come in 3 Standard Sizes for Cats and Dogs, including our new Extra Large Pet Door. There are many different types of Pet Doors to choose from and most can be installed into almost all types of glass doors and windows. If you have a larger sized pet, GlassNow supply and install an extra large dog door. Contact our friendly sales team so they can help you determine the perfect shape, size and location of the pet door to suit the style of your home. If you require a quote to have a pet door installed, please supply a rough size of the glass window or door panel where you would like the pet door installed into. 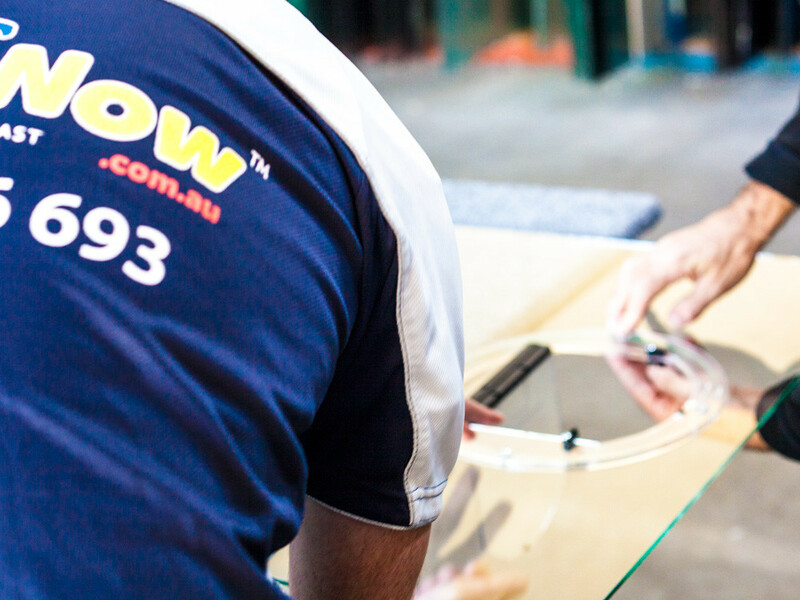 Click here for more information on the Gold coast pet door installations. 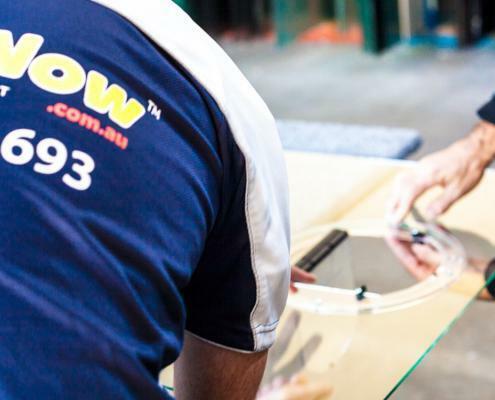 Visit our Brisbane Dog and Cat Door page for more information on pet door installation in Brisbane. 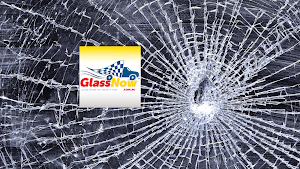 The experienced glaziers at GlassNow™ replace your existing glass with a new toughened safety glass to withstand any knocks and bumps that may occur with your pet’s movements. Having a GlassNow pet door installed in your home offers freedom for both you and your pet. Contact GlassNow to discuss your pet entrance/exit door requirements so we can tailor the best access for your animals.